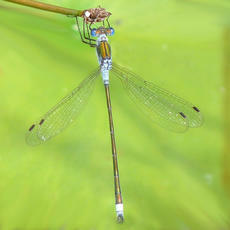 A medium-sized damselfly which characteristically holds wings open at 45 degrees when perched, unlike other damselflies. 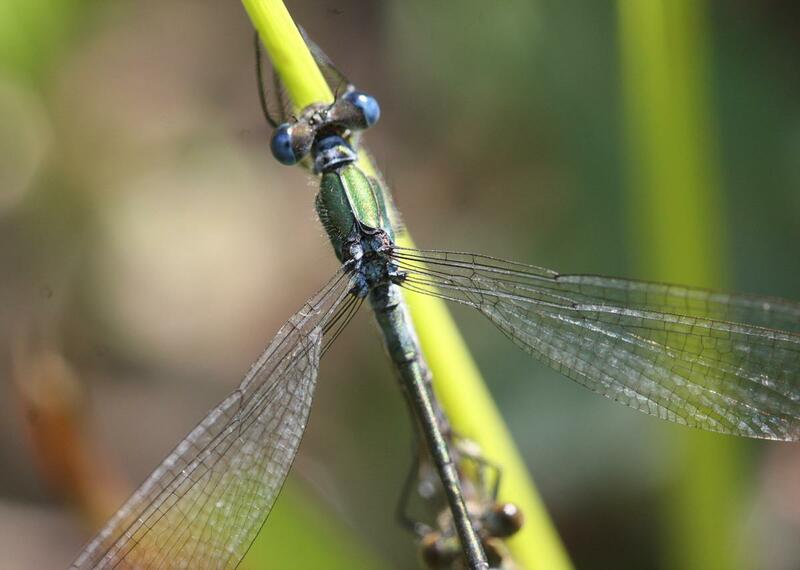 Males are metallic green with powder blue eyes, thorax sides and bands across first and last two abdominal segments. 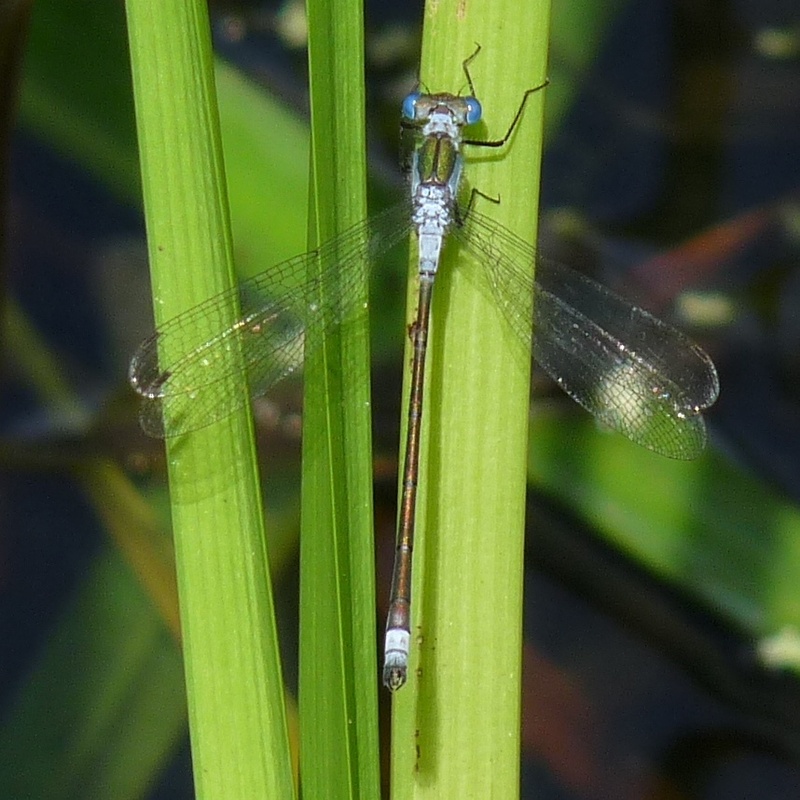 The females are similar but lack any blue colouring. 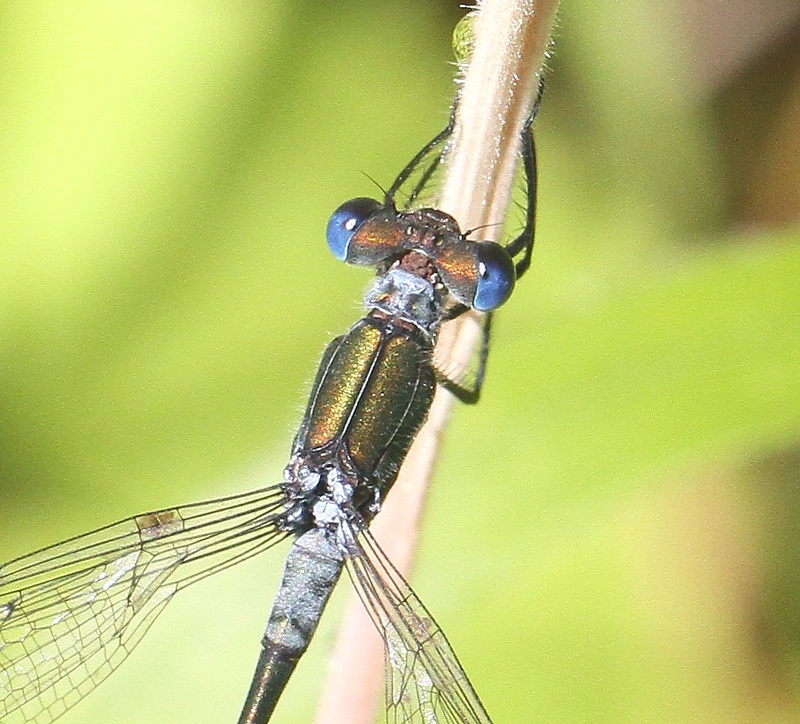 The female Banded Demoiselle is similar in colour but is larger and has a pale pterostigma (dark in Emerald Damselflies). 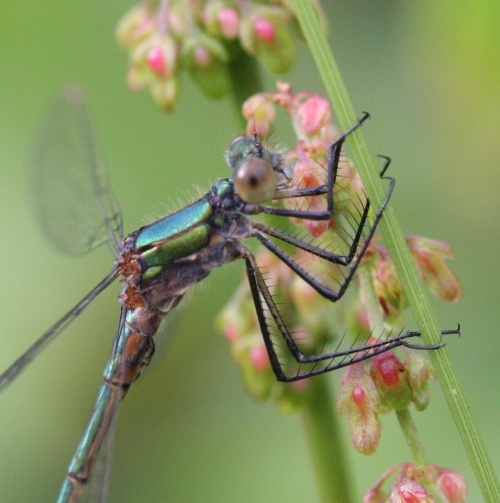 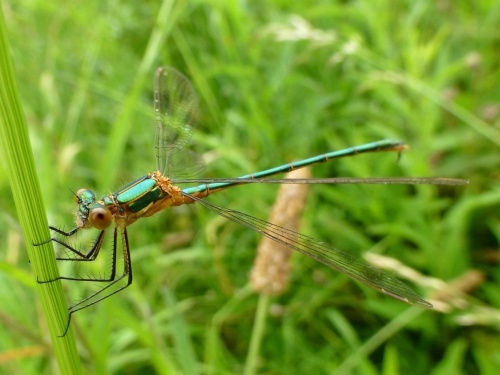 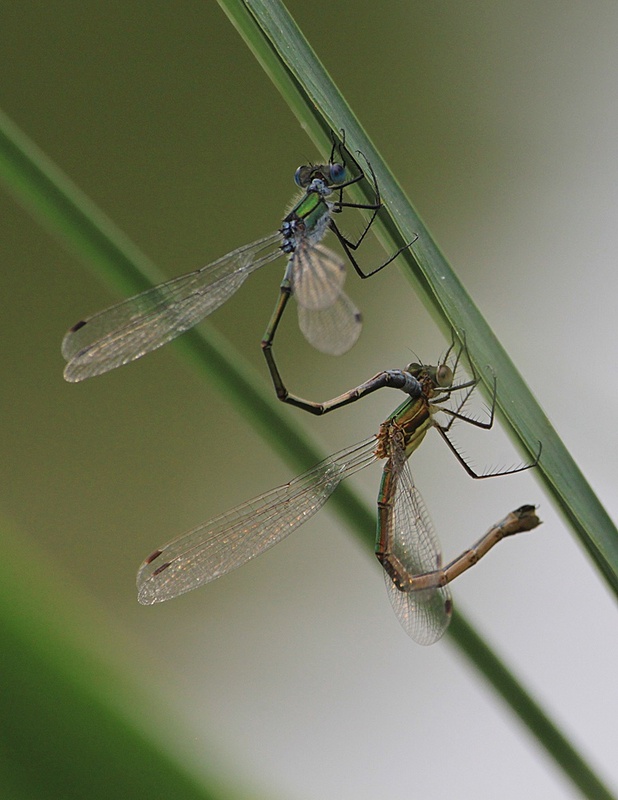 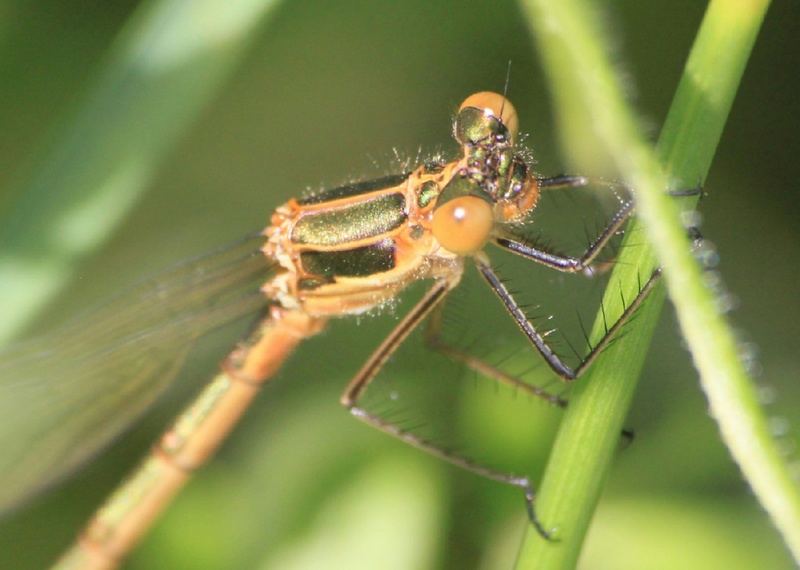 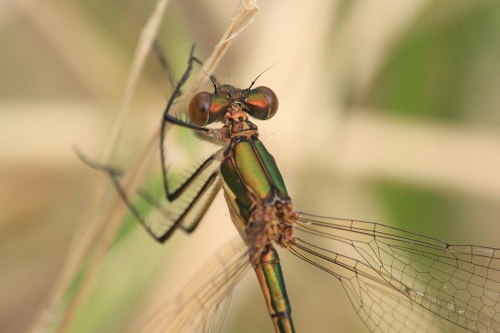 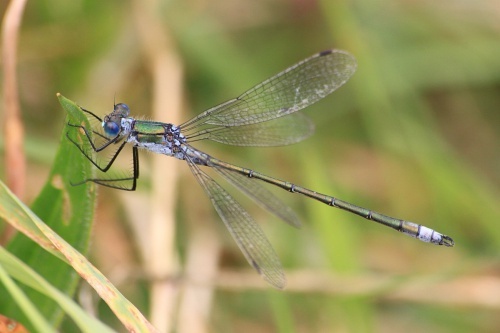 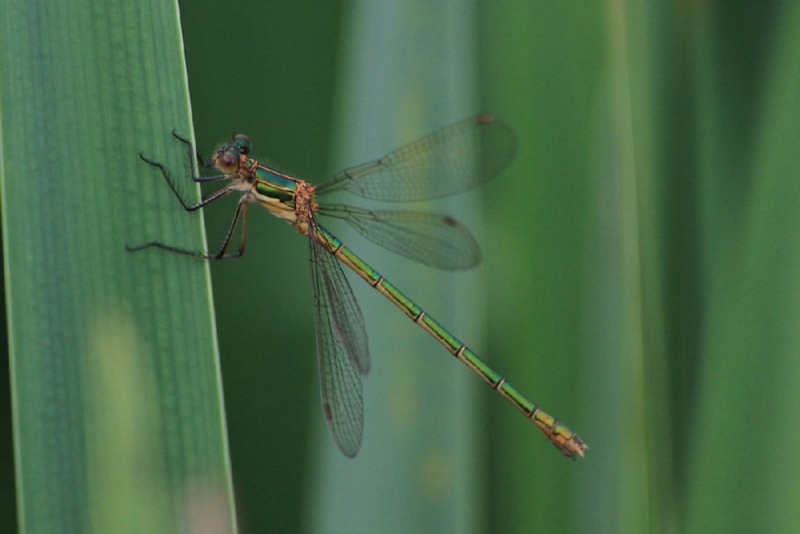 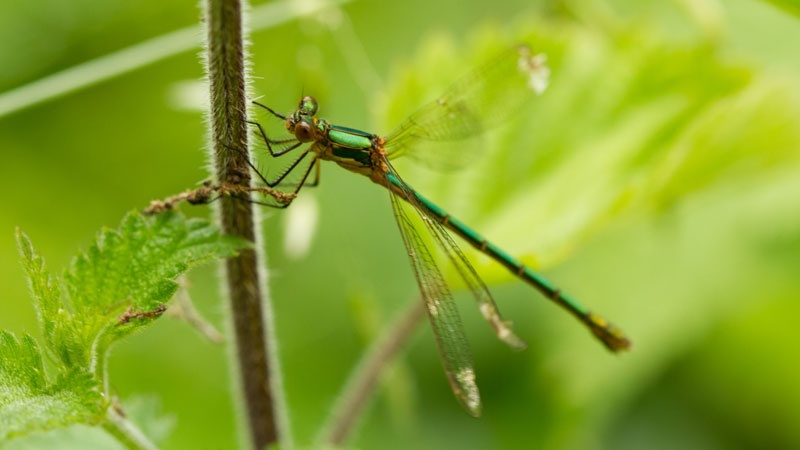 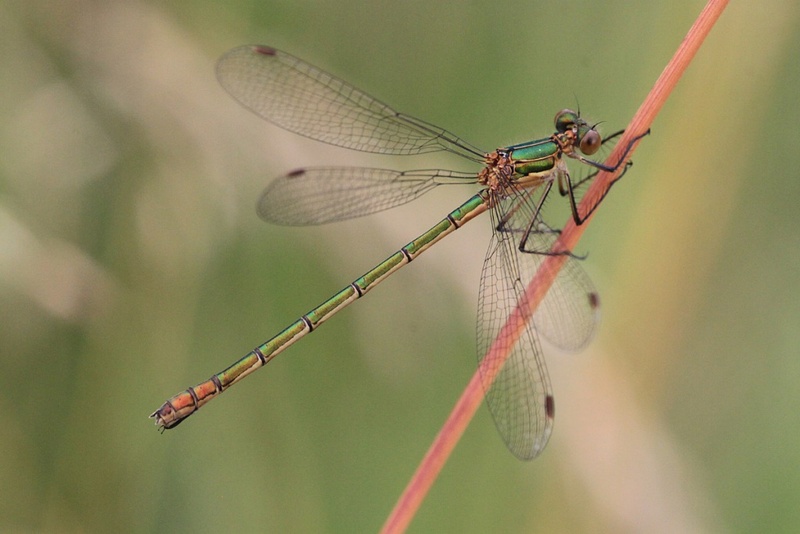 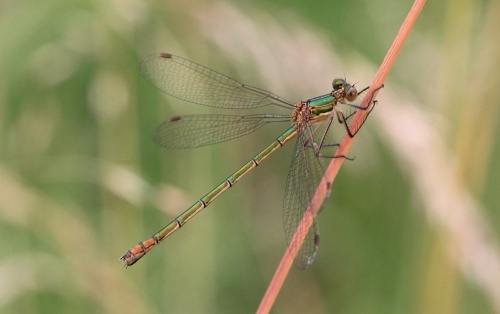 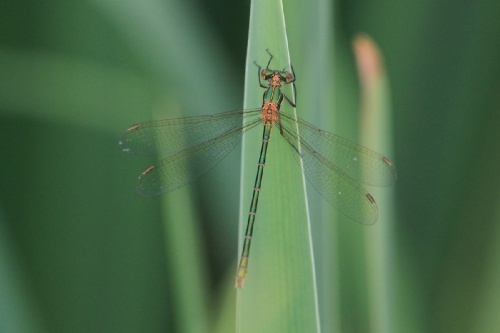 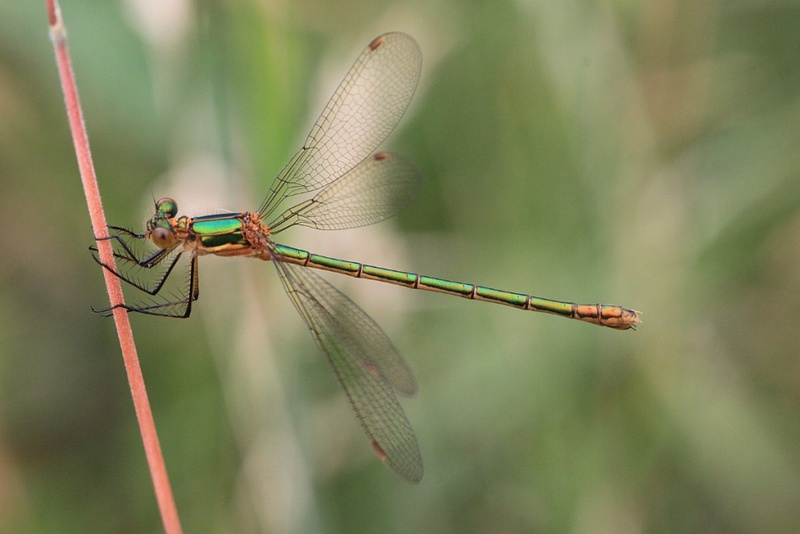 The Scarce Emerald Damselfy could be easily confused but isn't found in Leicestershire and Rutland. This species favours shallow water sites with dense stands of emergent vegetation. Mid June to late September. 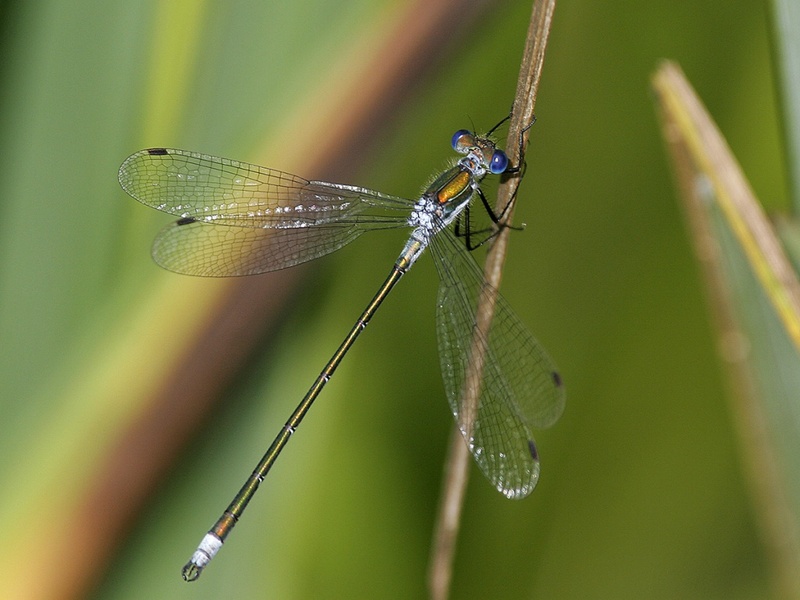 This species has a one year life cycle which entails their larvae feeding more and growing more quickly than other species. The active hunting behaviour of the larvae makes it vulnerable to predation from fish, so it does best in waters that are fish free or where there is dense vegetation to hide them. The species is widespread but not common throughout Britain. 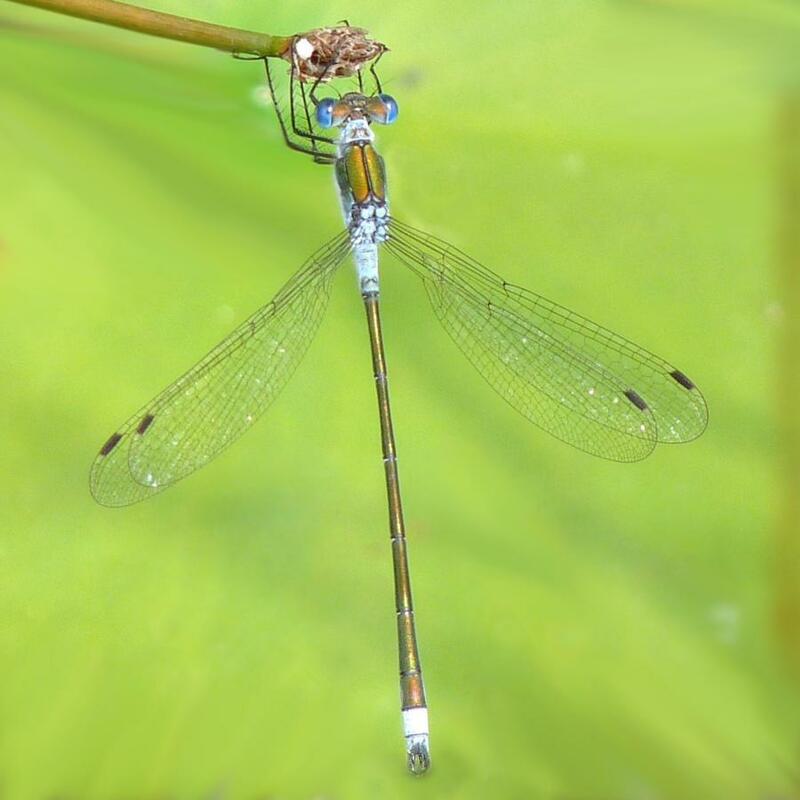 This species favours shallow water sites with dense stands of emergent vegetation. Such a specific habitat preference means that the Emerald Damselfly has a rather local and scattered distribution within VC 55. 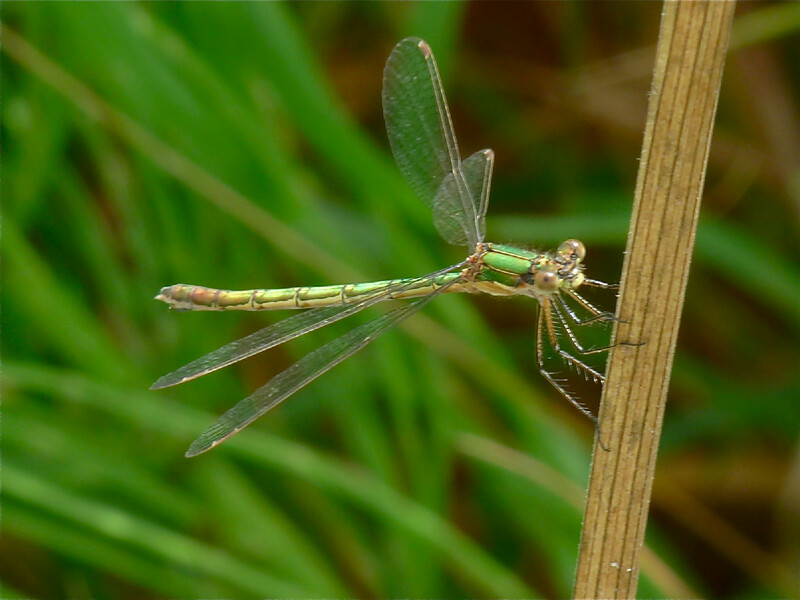 Historic records suggest that it has always been local in Leicestershire (Longfield, 1937).